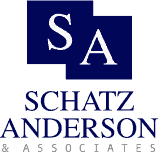 Driving Without Insurance | Schatz, Anderson & Assoc. In addition to the consequences imposed by the Court, a driver convicted of Driving Without Insurance is statutorily required to maintain SR-22 Insurance for 3 years after his or her conviction. SR-22 Insurance is a much more expensive form of insurance that requires your insurance company to verify for the State that your insurance policy remains in effect. If you are convicted of Driving Without Insurance and you do not obtain SR-22 insurance, your driver license will be suspended until the end of the 3 year period or until such time as you obtain the SR-22 insurance and proof is provided to the Utah Driver License Division. What If I Am Arrested For Driving Without Insurance? We can help you avoid or reduce the serious consequences of an Driving Without Insurance violation. There are actually two applicable charges: Driving Without Insurance (meaning that the driver does not have an insurance policy in effect) and Driving without Proof of Insurance (meaning that the driver had an insurance policy in effect but just did not have proof of that insurance in the car at the time of the stop). It is an affirmative defense to a charge of Driving Without Proof of Insurance that the driver did in fact have an insurance policy in effect at the time of the stop. By providing proof that you had insurance, you can have the charge dismissed. If you did not actually have insurance in effect at the time, you can still avoid the majority of the consequences—and most importantly the SR-22 insurance requirement—by negotiating a Plea in Abeyance Agreement with the prosecutor, which will prevent a conviction from being entered and reported to the Utah Driver License Division, which would trigger the SR-22 insurance requirement because it is only mandatory upon entry of a conviction. We can also fight some of these violations by arguing that the initial traffic stop that resulted in your arrest was not lawful in the first place, and therefore, the evidence the officer gathered when he stopped you cannot be used against you in court, resulting in a dismissal of the charge.